It was comical! Back when we were catechumens (learning the Faith, in hopes of being received into the Orthodox Church), as Presvytera Danita and I were attending our first-ever Pre-Sanctified Liturgy, there was a point, mid-liturgy, when we thought that the priest was ejecting us and our children out of the Church. In confusion, we all gave each other worried looks and then raised ourselves up, walking out of the service to sheepishly stand outside the front doors of the Church while we awaited an explanation of our offence. On Wednesday nights and Friday mornings during Lent, at the end of a series of kindhearted petitions that the Church has us pray together for the sake of catechumens (people who are being taught the Faith, in hopes of someday becoming Orthodox), there’s suddenly, a strongly emphasized phrase at the end of that set of prayers that’s a little disconcerting. There, the priest says, “Those who are catechumens, depart; catechumens depart; all those who are catechumens, depart. Let none of the catechumens remain!” So why does it sound like the priest is kicking the catechumens out of the Church, and if the priest doesn’t really mean for the catechumens to leave, then why is that command to leave being kept in our Pre-Sanctified Liturgy? In the Divine Liturgy each Sunday morning, there’s a very similar element of this that you hear. Just after the Great Entrance, where the gifts of bread and wine are processed around the Church and brought up to the altar, the priest and the people sing a set of prayers together, which the priest ends by exclaiming the phrase, “Guard the doors! Guard the doors! In wisdom, let us be attentive!” And that’s when we say the Creed together. Each of these sets of phrases, “Catechumens depart…” and “Guard the doors…” are actually part of what we call liturgical memory, in other words, it helps us remember and meditate upon something significant about the Church in ancient times. In this case, it helps us remember a time in the Church, when one risked their life to be a Christian, participating in its sacramental life. 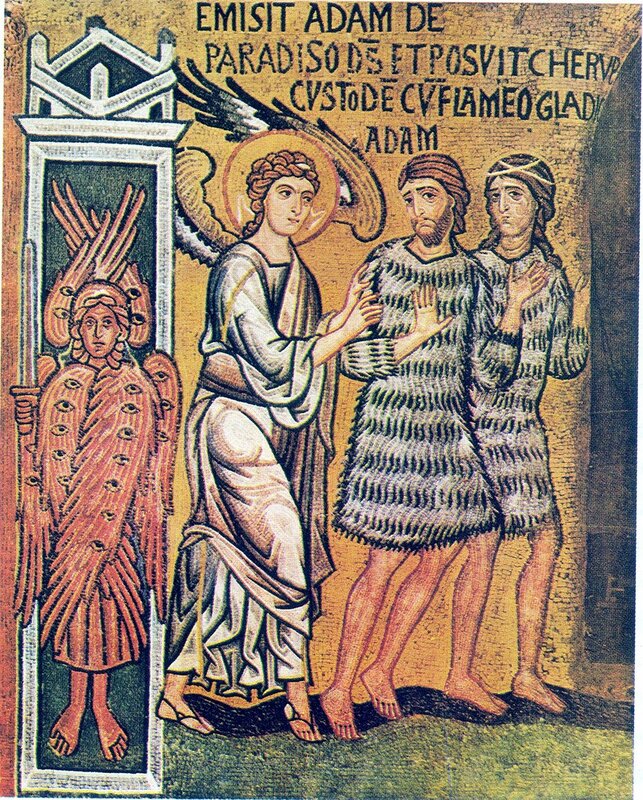 In its original context, that phrase, “Those who are catechumens, depart…” would have always been followed by “Guard the doors…” because, at that point of the service, anyone who wasn’t a baptized Orthodox Christian was expected to leave the Divine Liturgy and go meet with their catechist (instructor in the Faith). And the Door-Keeper who stood by the main entry doors into the Church, was being told to make sure all the catechumens got out, so that he could now close and guard the doors against intruders who might bring an accusation against Christians. Back then, when you claimed to be a Christian, it meant that you were making a dangerous declaration. It wasn’t just dangerous for you, but also for your family, and for all of the people you gathered with to celebrate the liturgical life. You could be tortured and killed for your beliefs and so could your family and friends. Christianity wasn’t just something you said you believed, nor was it merely a social club, where everyone came to enjoy each other’s company. Being a Christian was something for which you risked your life, because you actually believed that it had the power to transform you. Bringing the Good News of Jesus Christ to the people you came in contact with was something you risked your life for, because you believed that it had the power to transform the world. And, in fact, Christianity did transform the world at that time. The Church grew exponentially at that point in history and even high Roman government officials even became Christians (at risk to their own lives), until eventually, the emperor himself, Constantine, eventually became a Christian, and made Christianity legal. It’s amazing what Christians are able to accomplish, in Christ, when they willingly put their lives at risk to offer Christ’s love to those around them in tangible ways. So why is it so important to keep this liturgical memory in our services? Why remind ourselves constantly of that time in our Church when people cared so much about being at Church and about telling their friends about their experience with Christ that they were willing to risk and sacrifice their lives and their families’ lives for it? It’s to bring us to repentance since we do relatively so little, living at a time and place where being a Christian presents comparatively no risk to our own lives, or our families’ lives. We live at a time where it’s quite easy for us to practice our faith and reasonably riskless to tell others about our own encounters with our Lord, Jesus Christ, yet how often do we opt out of attending the divine services, or shy away from talking about our faith with our friends and co-workers? How often do we act in lazy and cowardly ways regarding our faith and offering the truth in love amidst a culture that sometimes rejects any notion of truth; and at other times suggests that truth is whatever each person believes it is for themselves; and still in other times that truth is found in ungodly expression of murdering the unborn…or…who believe that truth is never found in a person who disagrees with gender fluidity or the uninhibited satisfaction of an assortment of sexual appetites? In our Lenten celebrations, we’re approaching, this Sunday’s celebration of the Elevation of the Cross. That isn’t just about holding up a cross on a platter with some flowers on it. It’s actually supposed to mean something so significant in our lives as to get played out in everything we do. And the Church sees that as so important, that it puts the cross at the crux of Lent and at the crux of every sacrament in the Church. In a call for courage, Christ calls each of us to take up our cross to follow Him. Courage is indispensable for both spreading and preserving the truth of Christ in love. And whether it’s offered in love or not, Our Lord promised (just as it happened with Him) that our offering of His Good News would meet with resistance: “Then they will deliver you to tribulation, and will kill you, and you will be hated by all nations because of My name” (Matthew 24:9). And Paul warned that, even in the Church, faithfulness to the truth would be embattled: “I know that after my departure savage wolves will come in among you, not sparing the flock; and from among your own selves men will arise, speaking perverse things, to draw away the disciples after them” (Acts 20:29-30; see also 2 Timothy 4:3-4). The early Church experienced this first hand. So, as we approach the Sunday of the Cross and you experience the liturgical memory of our services, there are a couple of questions to consider: In our comparatively safe and easy point in history, do you have the courage to be transformed yourself, and to lovingly speak and to live the light of Christ into the midst of the lives that surround you? If Christianity were against the law today, would there even be enough evidence to actually convict you of being a Christian?